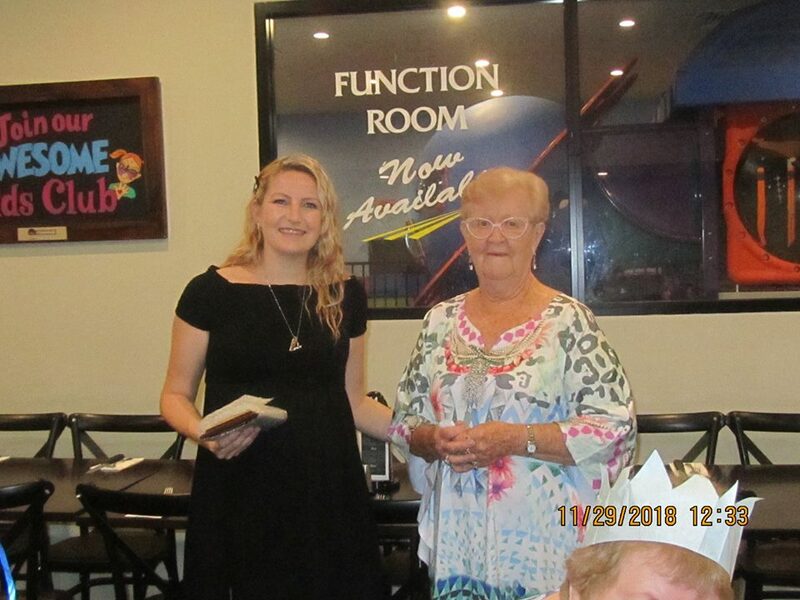 The Scope Club of Cairns were very pleased to present Bri Coates with our Quiet Achiever Award for 2018. We first met Bri when she helped our Club members at a Bunnings Sausage Sizzle. Bri became aware of our need to attract new members and get our Scope message out to the public. Bri went ahead and set up the site for us – we can now post events and create more interest. We even helped Bri in one of her endeavours when she offered free hair and beard cuts to thank all returned service men and women for their service. We were there to help with the morning tea. Many of Bri’s achievements are quietly achieved and these include cutting hair of indigenous boys from Cape York when they come down to Cairns for visits to Cape York House. Each year, Operation Christmas Child boxes are at her salon for clients to donate presents for children in the area.Bri has also volunteered on Rosie’s Food Van . A recent Award was through Women in Business – Cairns Business Woman of the Year Awards when Bri won the Cairns Small Business Woman of the Year for 2018. Thanks Bri for your care and commitment to the residents of our area. We wish you and your husband Toby a happy and healthy future with your new baby.